Travel Industry Exchange is the #1 event for specialization that will put your brand in front of pre-qualified travel agents who are ready to book business. 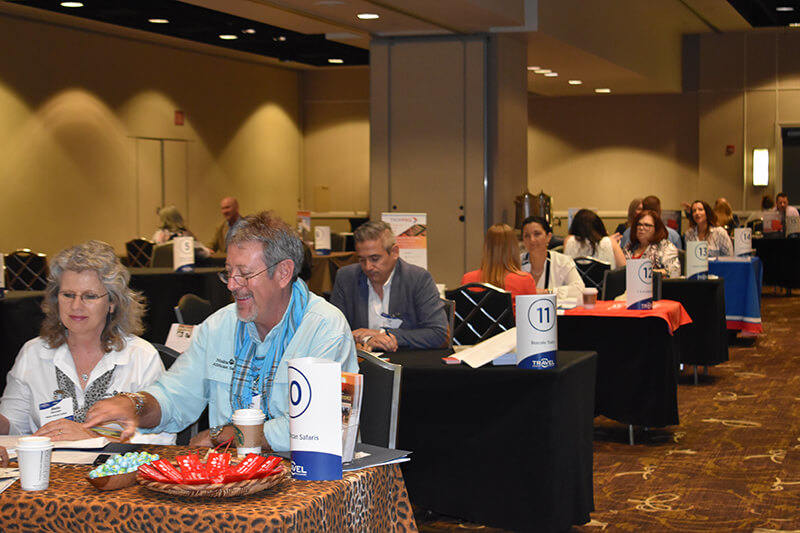 This incredible event, organized by the publishers of Travel Agent and Luxury Travel Advisor magazines,will offer suppliers up to 35 one-to-one, pre-scheduled appointments. Also, this year will be a product focused conference, allowing suppliers the opportunity to speak on a panel, sponsor a session, or even host a session on your own! Shared booth - A booth that is shared by more than one company. Raw space - An exhibition floor space that does not include a setup. Space & Shell Scheme - An exhibition floor space with a setup of booth walls.